Hours of mysterious hidden object gameplay where secrets and revelations abound! 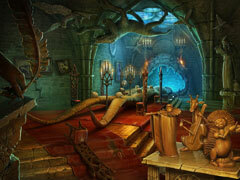 Get ready for hours upon hours of mystery-shrouded hidden object gameplay with the Secrets and Revelations Bundle. 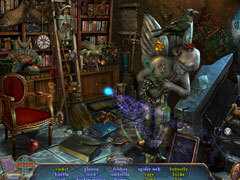 In Voodoo Chronicles: First Sign, you must help James Voodoo in his investigation on a brain-twisting mystery, which involves saving a city from a deadly monster attack! Travel with him to the forsaken hamlet of Ravenhill to the richest city in the world, Richtown. 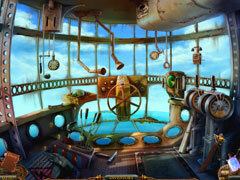 Travel by ship and even by a huge military airship. Find out the secret of the lost tribe, solve the puzzle of the mysterious stranger who's been following you relentlessly, and learn the story of the charming beauty named Kitty. Also included in this bundle is Sister's Secrecy: Arcanum Bloodlines in which you must assist Ariel in her search for her missing sister, Belle! Step in and help Ariel save her sister before Belle becomes a victim of an evil ritual! Follow Ariel to a dated European town where she meets friends and finds clues to help her save Belle!